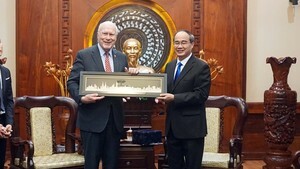 State President Nguyen Minh Triet has urged Ho Chi Minh City to lead in all fields, especially judicial reform. 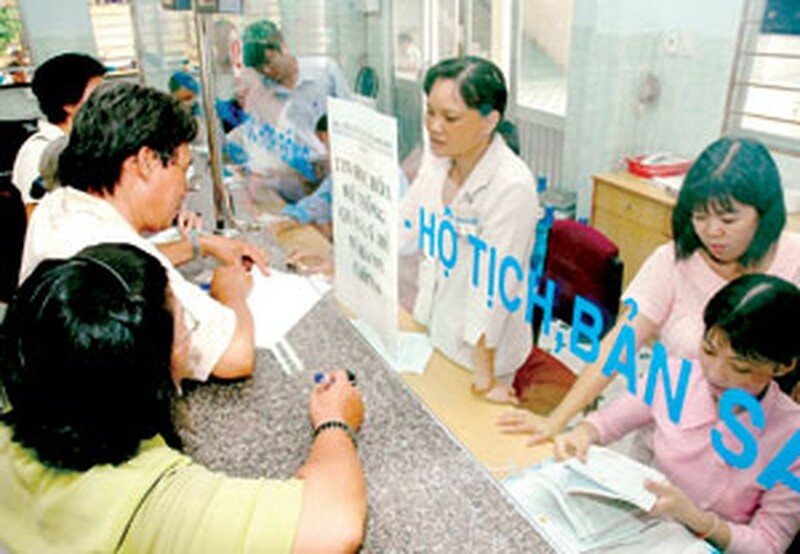 Residents apply for birth, marriage and deaths certificates in Go Vap district. President Triet made the statement at a working session with leaders of the major economic and administrative hub on May 5. During the meeting, President Triet was briefed on the city’s implementation of Politburo Resolution 49-NQ/TW on judicial reform strategies to 2020. He heard how the city has made positive developments in judicial reform during the past two years with improved adjudication quality, no cases of unjust judgments, and all court trials transparent and democratic. Additionally, the rate of verdicts cancelled due to judges’ mistakes has fallen from 2.05 percent to 0.48 percent and that of corrected verdicts has dropped from 5.86 percent to 0.99 percent. President Triet commended the city in strictly and effectively implementing the resolution. As a city with complex social issues and large court cases, the city’s judicial sector needs to set up a strong contingent and further improve the quality of investigation, prosecution, adjudication and execution of verdicts, the President said. He added the city needs to further improve judicial workers’ professional skills and ethics, invest in agencies’ facilities and take care of judicial workers’ daily life.